I keep finding more and more reasons to love coconut oil! I recently saw on Pinterest that it is a great eye makeup remover, so I gave it a try. I will (and occasionally do) leave the house without makeup on, but I always, always throw on a little mascara. Even though I love it, removing it is such a pain! Cue the coconut oil. Simply rub a small amount of it in a circular motion on yours eyes and start to feel/see your eye makeup coming off. Once you look like a raccoon, use a wet wash cloth or wet cotton ball and remove all the gunk. It works great, it's inexpensive, and your eyes will thank you for the moisturizer! 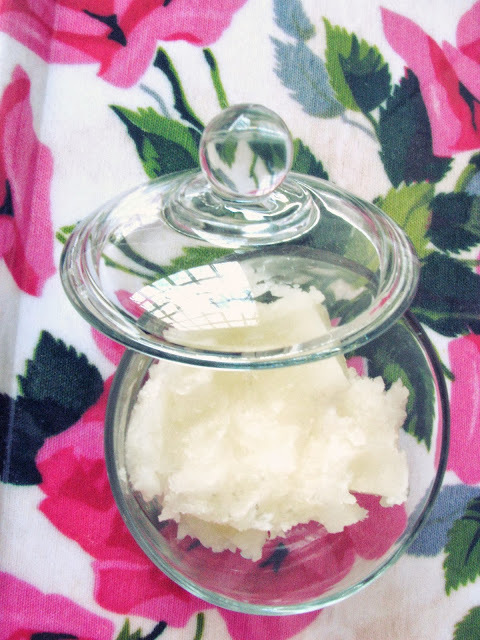 I purchased a little glass sugar jar w/ lid at Walmart (less than $3 in the kitchen section) to store the coconut oil in my bathroom. I keep it on a little tray near my sink for easy access, along with cotton balls, Q-tips, lotions, etc. 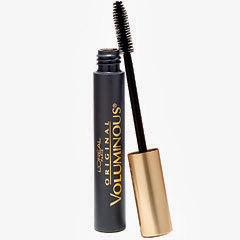 While we are on the subject, I do have a favorite mascara that I have used forever. I have tried so many different kinds and always come back to this one. My absolute favorite! If you whip the coconut with a hand mixer before you put it in your sugar bowl it will have a smoother consistency and be easier to scoop out.